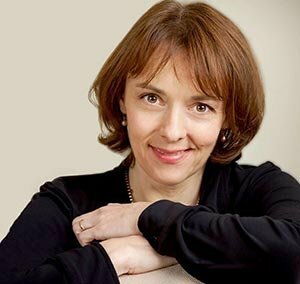 Lucy Kellaway, FT journalist, author, champion of plain speaking and crusader against corporate bulls**t was speaking at a prestigious London dinner recently. The audience, comprising of CEO’s and CFO’s, were asked to raise their hands when they recognised quotes Lucy read out which were taken from their websites. Whereupon, with withering accuracy, Lucy would hilariously upbraid their company’s statements highlighting meaningless corporate nonsense, business jargon and hackneyed clichés. The time came when our client, 1st Credit, heard Lucy quoting their company’s core values. These values were written as part of the rebranding project, and Simon, (co-instigator / author along with Voyage and Chris Collins from 1st Credit) nervously had to raise his arm skywards – cringing at what he was going to hear. Much to his surprise and relief, Lucy explained to the 100+ audience that these values were the first decent things she had read in her research across all 100+ websites represented – which she had personally vetted! Needless to say Simon enjoyed his standing ovation before Lucy returned once again to lampooning the rest of the audience. NB: Whilst listening to Simon recount his story, I have to confess to probably being as nervous as he must have been. Tentatively, at the edge of my seat, wondering too what I was going to hear. The story ending was a relief. Now I feel that the methodology and challenges I use when defining an organisation’s core values - delivers authentic results that audiences find meanginful.